At the international level, we noticed confusion between an elder from a local church and an elder at the international level, so we decided to name them in a different way. In our day to day talk, we still refer to them as the president or secretary but in official documents that we use the proper name. People elected holders of office: minimum 1 x bishop; 2 x clergy; 9 x lays members. Assist and advise the Church on those matters where prudence requires an outside perspective. Provide support and outside objective oversight when needed. 1-The Chief Convener is a member of the Executive Committee and responsible for decision and activities of the Convener Team. 2- Administration Convener: Responsible for ensuring that EMMI is a responsible employer. Ensures that policies and procedures (hiring, supervising & measuring staff performance) are observed, maintained and updated as necessary. Responsible for the decisions, activities, committees and volunteers representing EMMI within our denomination and to the larger community. 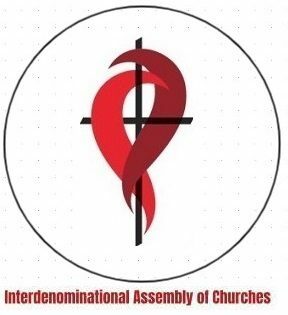 Members serving the Congregations by representing EMMI within the denomination and to the larger community: Lay Chaplains, Chaplaincy Coordinator, Partner Church Committee; Representatives to the Council. Supports Conveners & board by presenting financial updates and leading the budget process. Advises: Funds Management Committee & Canvass Committee. Oversees fiscal year-end financial statements and issuing of tax receipts. Responsible for the decisions, activities, committees and volunteers who are working to address social justice issues and involve members of EMMI in bringing about change. Members acting on issues that affect the larger community and the world.